The bench said seeking relaxation means the company is carrying out blasting in the prohibited area. Hyderabad: The National Green Tribunal in New Delhi on Friday expressed displeasure at the Union ministry of forest and environment’s apathy in granting permission for open cast mining at Kakatiya Khani II in Jayashankar Bhupalapalli district. The NGT bench headed by Justice Raghuvendra Singh Rathore was dealing with an application by Mr Nagavelli Rajalingamurthy, a resident of Bhupalapalli district, challenging inaction by authorities in taking precaution during open cast mining activity in Kakatiya Khani-II which is resulting in air, noise, water and land pollution, damaging fertile lands and depleting ground water in the vicinity of the mine. The bench said it appeared that the ministry had not applied their mind while granting relaxation to the mining company. 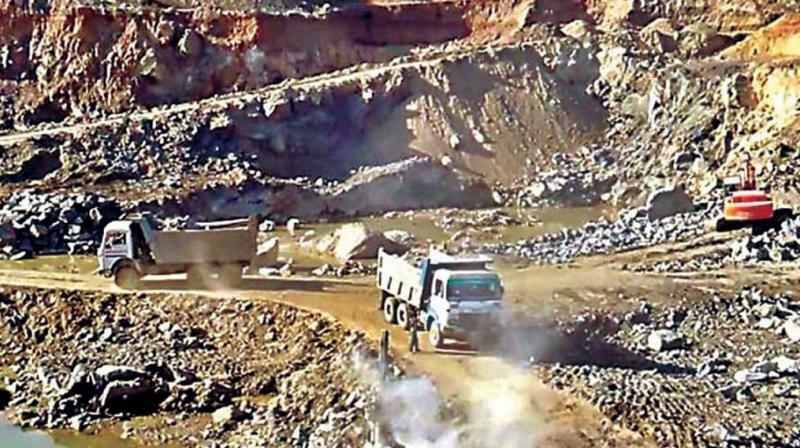 The bench asked Singareni Collieries Company Ltd why it had sought relaxation of the condition that bars mining within 500 m of residential areas adjacent to the mine, when the company had claimed it had not taken up blasting within 500m of prohibited areas. The bench said seeking relaxation means the company is carrying out blasting in the prohibited area. When counsel requested the bench to conduct an inquiry through an independent agency to ascertain the fact, the bench asked what purpose such an inquiry would serve when the ministry had been giving false reports. Mr K. Sravan Kumar, counsel for the petitioner, complained to the bench that the mining company was carrying out blasting close to the residential area. The bench said it would pass appropriate orders soon.